In June of 2016 participate like expositores in Fispal Technology 2016, made in Saint Pablo, Brazil. During the days 14 to 17 June were present in Fispal Technology 2016, beside the Ministry of External Relations and Cult and the Foundation Export. Fispal Technology is an International Fair of Packagings, Processes and Logistical for the Industry of Foods and Drunk. It treats of one of the most important events of the Latin American industry. 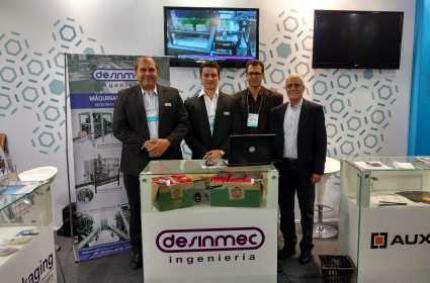 Beside other Argentinian companies form the stand that represented to the Argentinian Republic in the event.